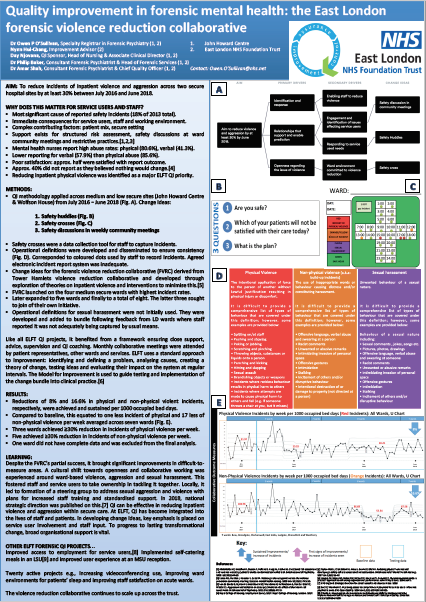 This poster summarises the violence reduction work in Forensics units across East London NHS Foundation Trust. Please click on the image to access. What were the key ingredients for enabling QI work in Forensics?